1 Henry LAKE Thank you to Lesley VanGroesen, Patricia Ridsdale and Mike John for all their assistance with this family. 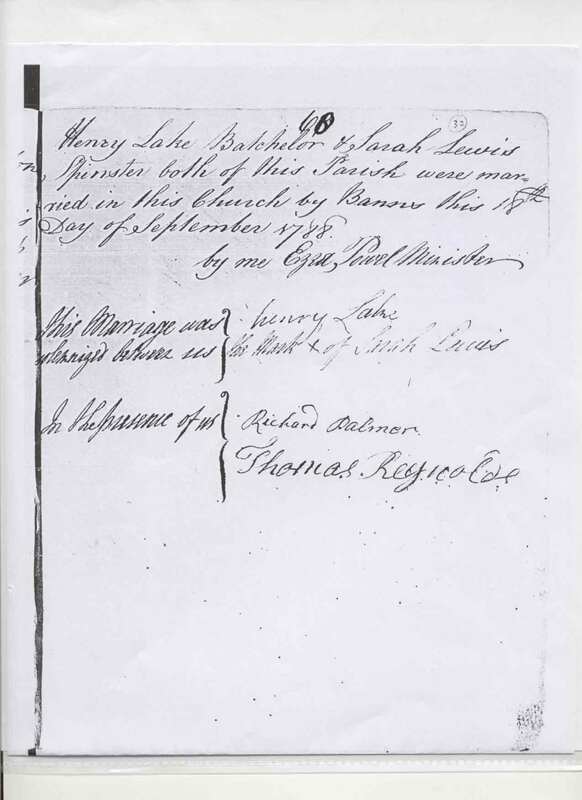 Was manager of the estates Of Thomas Lewis, Esq.� Here he married Sarah Lewis, a farmer's daughter in Trellech about 1788. They settled down on a small farm of 40 acres and had 10 children, two of whom died in infancy.� The other six sons and two daughters lived to grow up and get married, except the youngest, Thomas who was an old bachelor. During the search for the Lake family in Trellech, I had identified all but one family of Lakes and knew how they fit into my tree.� I met on the Internet Lesley (Lake) who lived in Australia.� The two of us looked for clues as to how George might be related.� We felt the connection was there but couldn't prove it.� Through the reading of Henry Lake's will we found that, indeed, Henry had a son named George.� Needless to say we were excited for finding the connection and had many hours of emailing back and forth to put together the rest of the family as you see it here. 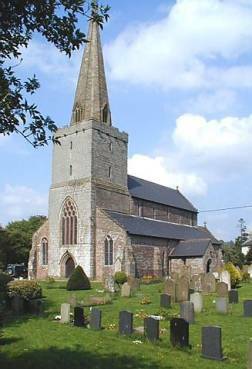 As indicated in the letter on my front page from Grandpa Lake, Henry's parents were living in Holsworthy, Devon. They died leaving seven children who, it appears, were sent to a variety of family members to be raised. The only child other than Henry mentioned in the letter is William. 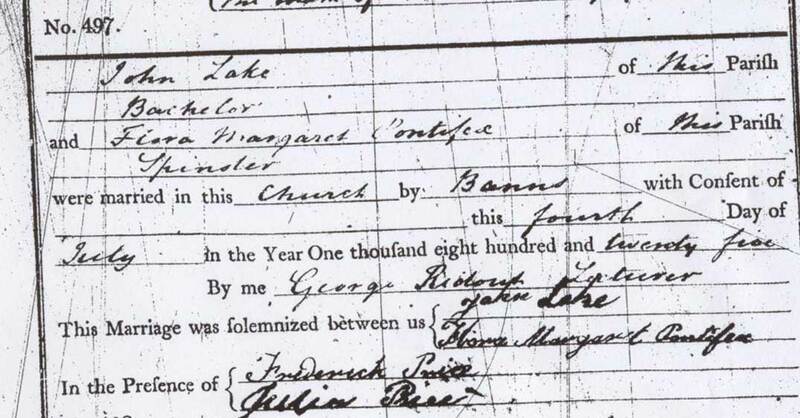 Since Lake is a fairly common name, without the parents names it is almost impossible to trace back this family any further. I have contact the GRO in Devon to see if they might find the birth of Henry but to no avail. We find Lake families in the area that are possible candidates since they appear to have a birth every two years and there is a break in the timeframe that Henry was born. But as far as actual proof as to who his parents are, that remains a mystery. 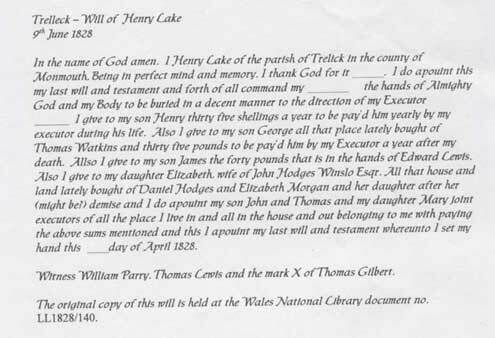 Documentation includes a copy of Henry Lake and Sarah marriage by Banns from the National Library of Wales.� ALso a copy of the Henry Lake's will.� Click here for a transcription of his will. Was a bachelor.� Never married.